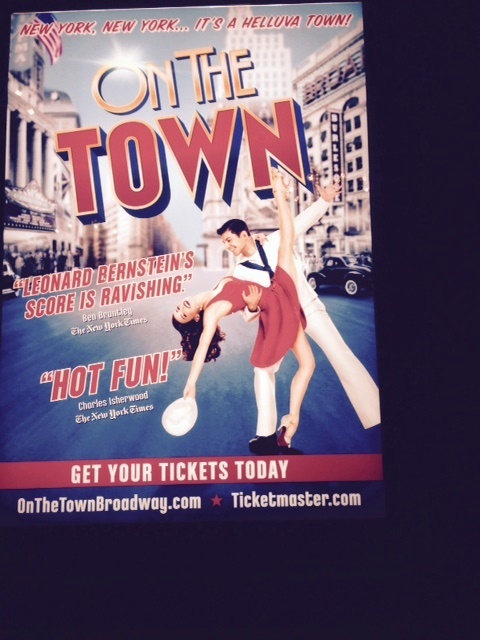 you can see one of the best shows in town, maybe one of the best ever. The first thing you notice is, of course, the great great score by Leonard Bernstein with clever book and funny/touching lyrics by Betty Comden and Adolph Green. The next thing you notice is that this was and is still a dance show. 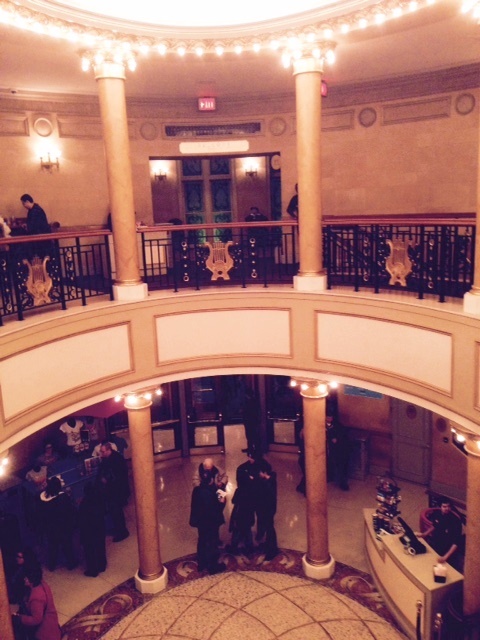 Every performer dances–some at the NYC Ballet level, like Megan Fairchild who plays Ivy Smith–and they all sing extremely well. How the producers accomplished this I don’t know but there’s a lot of talent in this town. 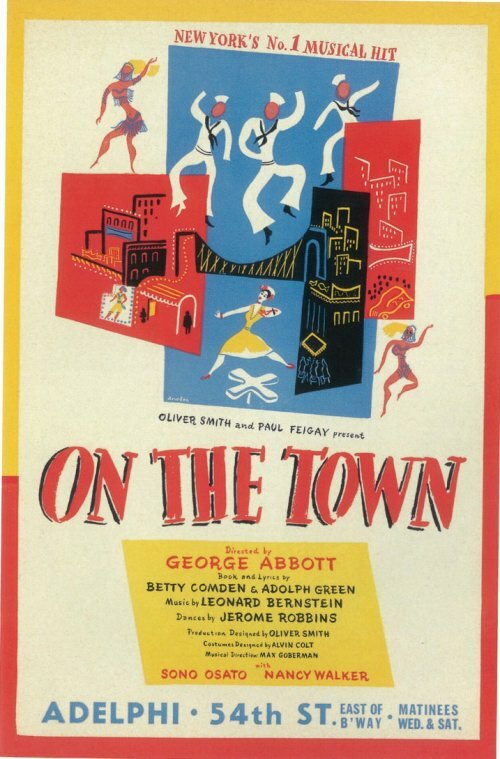 It’s hard to single anyone out because they were uniformly excellent, but “Lonely Town” and “Lucky to Be Me” were delivered with great style by our Gabey, Tony Yazbeck, and my other favorite, “Some Other Time,” was rendered beautifully by the other leads and the first rate ensemble. Lots of funny songs too. 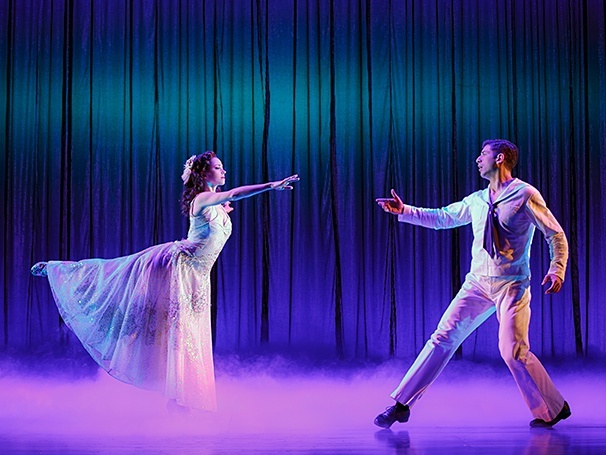 Choreographed originally in 1944 by Jerome Robbins from his idea, the new choreography by Joshua Bergasse pays tribute to the Robbins’ concepts–athletic, balletic and wonderful partnering. (moviepostershop.com) There’s a big orchestra, which is a pleasure to hear on Broadway these days. Bernstein commissioned the immortal Hershey Kay to do the orchestrations, and they were apparently mostly used in this production though unbilled. James Moore’s music direction was on target all the way. Some of John Rando’s direction perhaps erred a little on the side of “frenetic,” as quoted by our friends; it’s not really necessary to have people move on every note, but this is a small cavil. 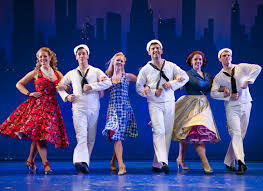 If you would like more information on the various Broadway revivals of On the Town, http://broadwaymusicalhome.com/shows/onthetown.htm is a good resource. 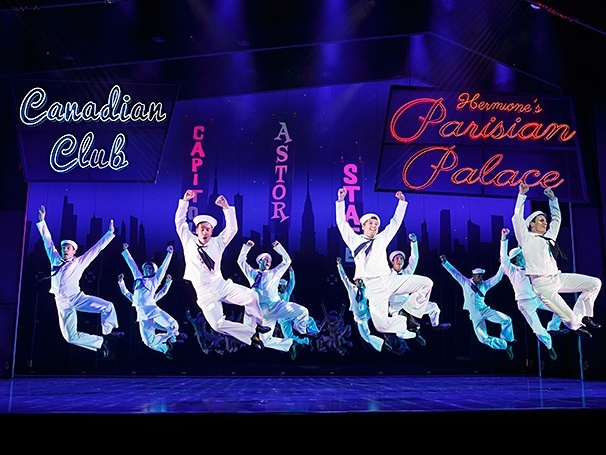 (theatermania.com) Other than that, you should go and find out yourself what happens when three sailors hit New York in search of love. Don’t miss it.